Your little darling will look like a princess as you dress her in this lovely piece of clothing. The embroidery looks appealing and is beautifully teamed with a sequin detailing to accentuate its overall appeal. 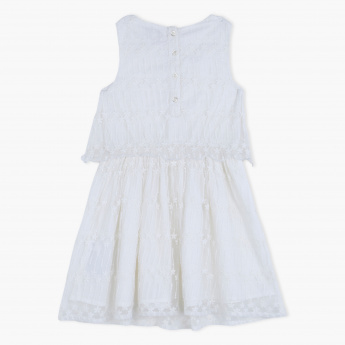 This sleeveless dress has a round neck and button placket making it easy to wear.